On the occasion of 10x10 Japanese Photobooks Reading Room at Carnegie Hall for the PHG Photo Fair (May 2014), we were asked to choose one book from our original selection (here with a short essay on Postwar Japanese photobooks). Fun sets of trading cards about photobooks were issued and a catalogue was to be published. Well, 10x10 Japanese Photobooks is now out and available for order. We received our copy and it's gorgeous. 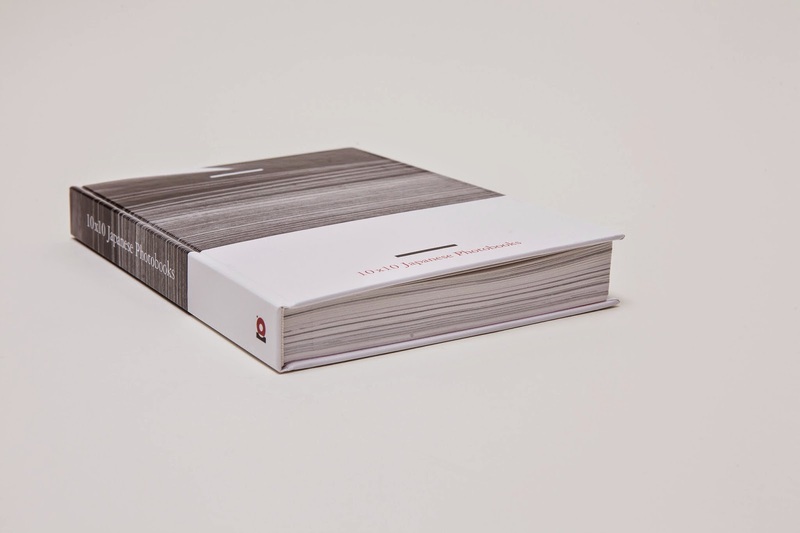 Do not wait too long before making up your mind: the edition is limited to 400 copies. Here is the teaser content on the ICP Library's blog. "Edited by Matthew Carson, Michael Lang, Russet Lederman and Olga Yatskevich. New York: 10×10 Photobooks in association with International Center of Photography and Photobook Facebook Group, 2014." "4to. ; illustrated throughout in color and B+W; French-fold pages and 20 gatefolds in Japanese binding; Hardcover illustrated boards. 9.5x6.5 in (24x17 cm), 248 pp. Limited First Edition of 400." 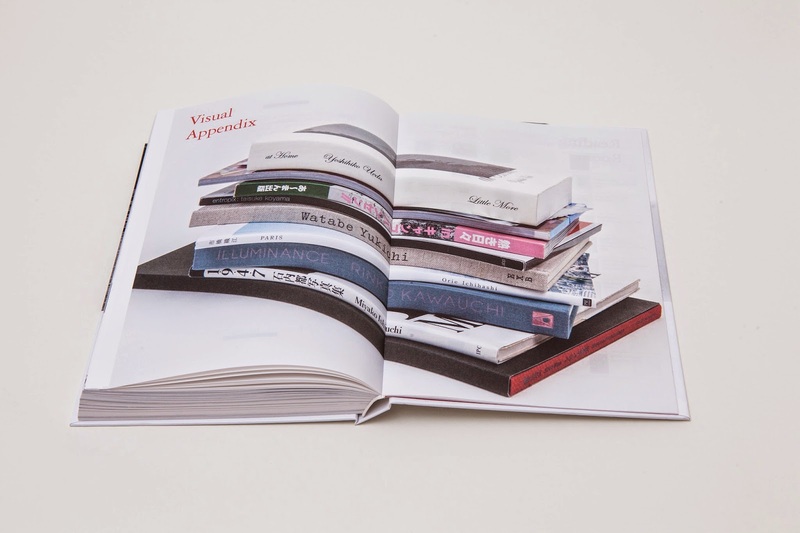 "As a catalog associated with the traveling 10×10 Japanese Reading Room and Online space, the book offers an in-depth visual investigation of twenty highlighted books – one from each specialist’s selection of ten books – and a visual appendix that documents all 200 Japanese photobooks." "Limited First Edition of 400. Text in English and Japanese by Akira Hasegawa, Atsushi Fujiwara, Dan Abbe and Eric Miles. Photography by Mathieu Asselin, Jeff Gutterman and Olga Yatskevich. Design by SYB. Lithography by Colour & Books. Printed by Mart.Spruijt, Amsterdam. ISBN: 978-0-692-20866-3." Click pictures below to enlarge. 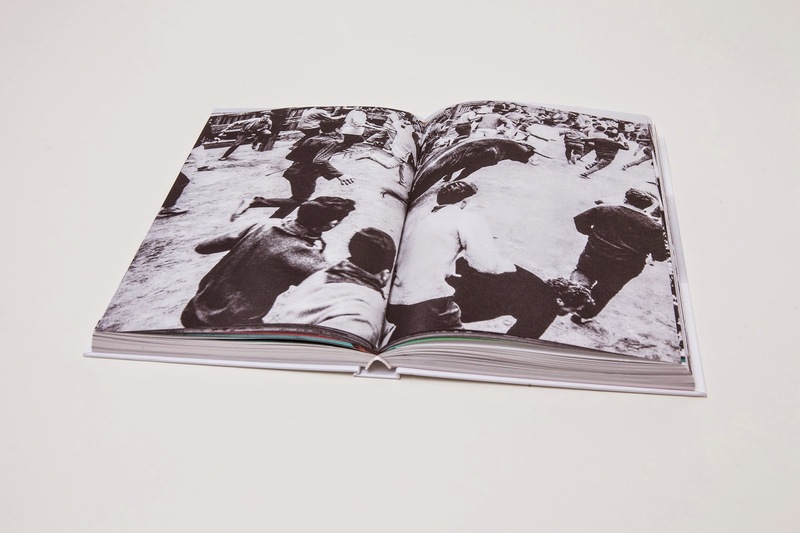 Copyright © 2014 10x10 Photobooks, All rights reserved. Below is our selection (Narahara's Spain) out of the original 10, along with the full (but all too short) 1000-character commentary. NARAHARA Ikko. Spain / España: Idai Naru Gogo / Grand Tarde — Fiesta — Vaya Con Dios. Tokyo: Kyuryu-do, 1969. Thick 4° (33 x 26 x 4.5 cm), (174) p., 2.7 kg. Pict. 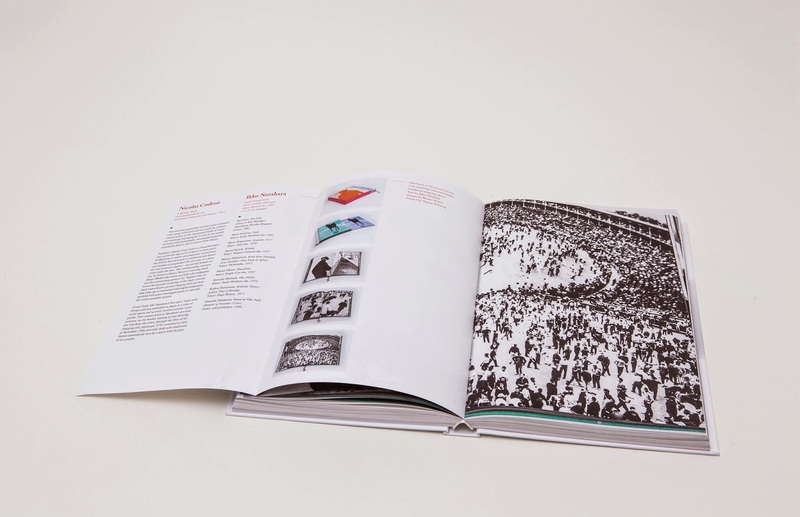 clothbound hardcover & slipcase, b&w gravure photographs (3 spreads in color), 33 fold-outs. Altogether with: NARAHARA Ikko, Yakusoku no Tabi / The Promised Journey, a separate volume of text & notes (pict. softcover, 44 p., 2 b&w portraits), in Japanese & English (transl. by Mitsu SAWANO). 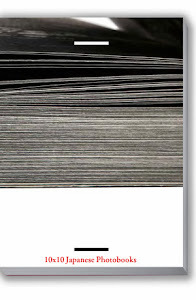 Book design by KATSUI Mitsuo & MABUCHI Akira. 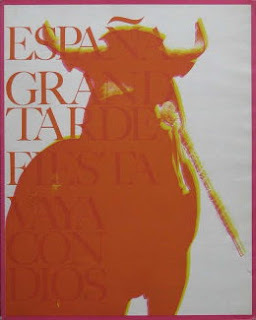 Narahara's España Grand Tarde is a beautiful object and a powerful depiction of Spain in three parts: bullfighting (a violent and passionate ceremonial), San Fermin festival (youth in celebration and dance) and Andalucia (suspended life and time in a poor, dry and luminous region): sacred and human excesses under the heat. The corresponding contrasts may be found in Katsui Mitsuo’s stunning book design (Warhol-like covers and bold color endleaves) and the outstanding gravure (by Toppan) that allowed the optimal rendering of the high-contrast black monochrome pictures (ranging from arebureboke close-ups to traditional wide-angled landscapes), speckled with scarce meaningful spurs of color hidden within gatefold spreads. Grand Tarde, like Narahara’s first opus (1967), deals with Europe and was published in Japan at a time of social unrest and actively involved artistic avant-gardes. This hints at Narahara’s peculiar position: on the border, looking at and showing one side from the other, through the filter of his changing self. Japanesque (1970), serialized as early as Sept. 1966, precisely deals with traditional themes ambivalently seen by a native with the gaze of an outsider.